Product #152 | SKU 3-009-0001 | 0.0 (no ratings yet) Thanks for your rating! No matter what your camera, Redrock Micro's microFollowFocus v2 lends your video production the smooth, precise focus control of a big-budget film. 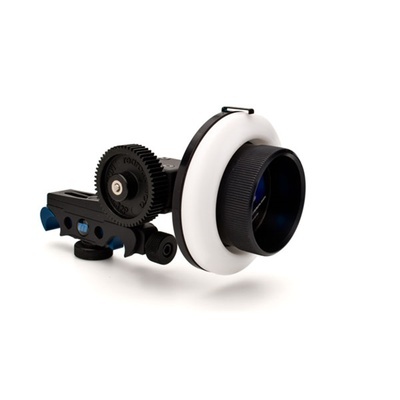 Whether shooting with a fixed-lens camcorder, interchangeable cinema lenses, or a video-capable DSLR, the precision-machined microFollowFocus system provides repeatable, accurate focusing. Standard Arri-style accessory port in focus wheel for attaching whip, speed crank, etc.